Contains fine grade grit. It is specially designed for valve grinding application on automotive, marine engines and industrial. It can be used for grinding chromium, cobalt, discs, hard-faced seats, removes surface defects, gums, carbon deposits, burns & corrosive. Ideal to use on valve of combustion engines. 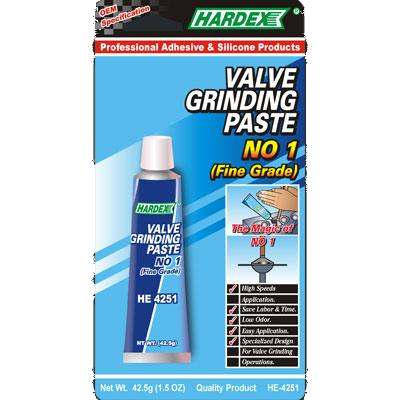 Valve Grinding Paste No 1 is formulated for finishing valve grinding.